Angul: Finally, tigress Sundari was tranquilised by team of experts in Satkosia Tiger Reserve (STA) in Angul district today. The tigress was tranquilised in Majhipada in the Satkosia Tiger Reserve Area. Experts shot tranquilizer at the big cat by sitting on trained elephant Jasoda. The tigress was relocated from Madhya Pradesh’s Bandhavgarh Tiger Reserve to Satkosia wildlife sanctuary on June 28 in a pilot inter-State transfer project in a bid to increase the big cat population in the State. However, the locals are hell-bent in their demand to shift the tigress from the forest after it reportedly killed two persons, including a woman on September 12 and October 21. Locals took law into their hands forcing State Government to make a plan to tranquilise the tigress. After many unsuccessful attempts by the State Forests officials, the Madhya Pradesh government sent an experts team to capture Royal Bengal Tigress. 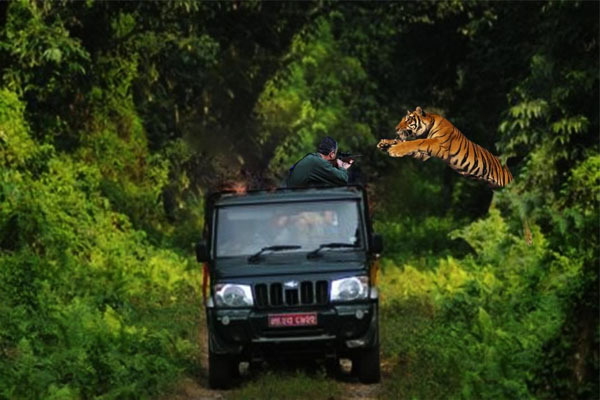 The Madhya Pradesh Government had sent two specialist teams from the Kanha National Park and Pench Tiger Reserve to tranquilise the big cat and bring the animal inside the enclosure.